Among Taipei's poshest chill-out venues, Barcode is a place to see and be seen. 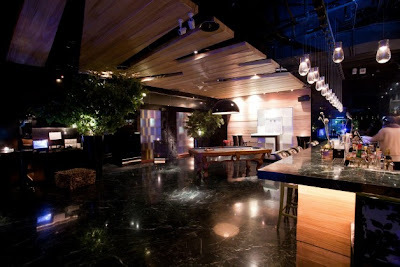 Featuring a wide selection of custom, unique cocktails, upscale decor, relaxed and comfortable atmosphere, and DJ's specializing in a wide range of music from classic house, acid jazz, funk, new wave and more. On the 5th floor of XinYi shopping district's NEO19, Barcode sports a large indoor balcony as well as a stylsh interior area, both furnished with full bars and bartenders willing to make anything you ask for. Drinks are a little pricey, but nothing more than going rate in the upscale 101 area. Entrance is free (save for special events) but expect to be pressured to purchase the moment you are spotted without a drink in your hand. The view from the bar is fantastic and Barcode is well worth a visit if you're not bothered by it's slightly pretentious vibe. 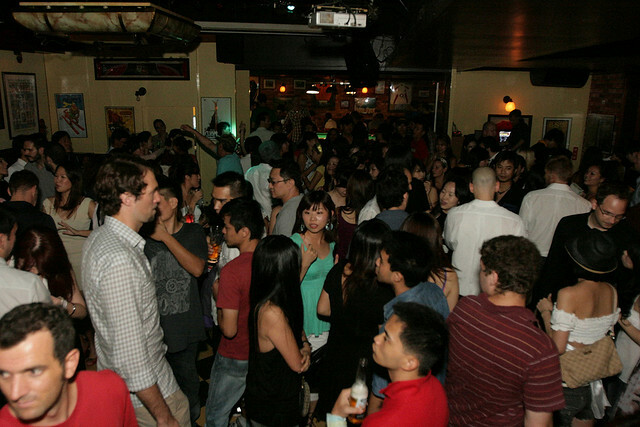 Brass Monkey is a well renowned expat party place in Taipei. 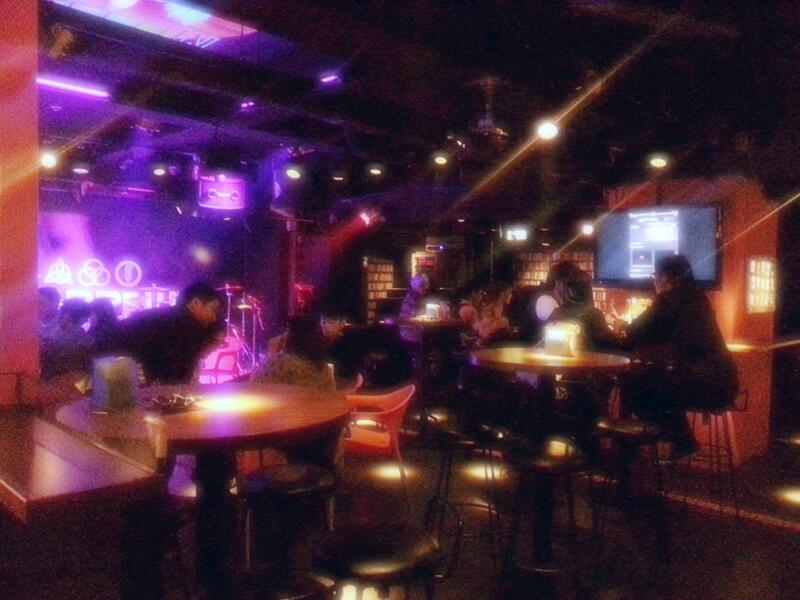 Located in the Najing East Road business district, Brass Monkey attracts a crown of old and young expats and locals alike. Brass Monkey has the stylings of a typical western bar and restaurant and has many TV's for which regularily screen international local sporting events. 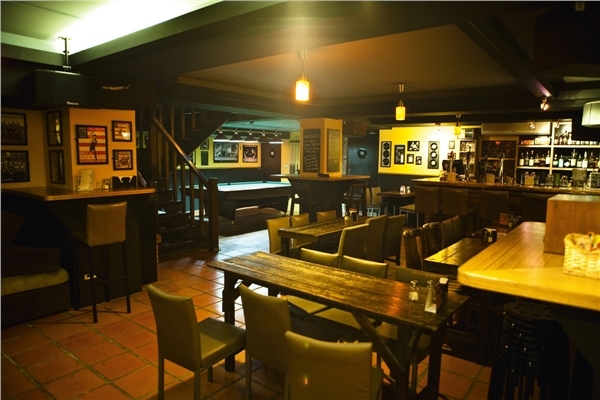 Brass Monkey also has fussball, pool tables and dart boards for the competitive minded. By far their most popular weekly event is their Ladies night on Thursdays. Probably the best place in the city to party on a Thursday, the weekly event features free cocktails and entry for Ladies from 9-midnight (entry is free all night) and minimum charge only NT$150 for the guys. It's also their latest night with a DJ to spinning through until last call at 4:00am. 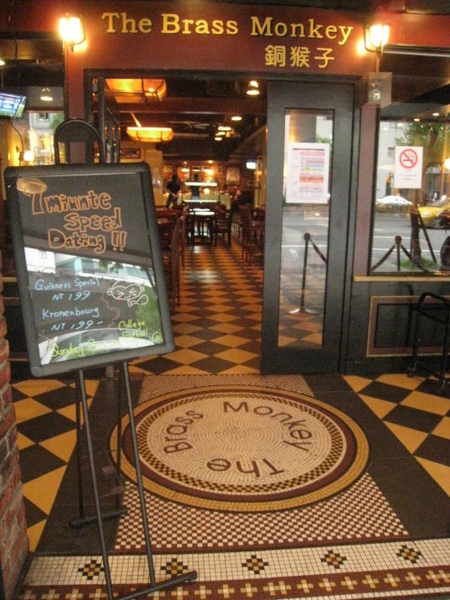 In addition, Brass Monkey also has Salsa night on Tuesdays, which is very popular with local salsa enthusiasts. Brass monkey has a solid selection of liquors for cocktails or straight-up. Their draft beer selection is very impressive, with eights taps of exceptional craft beer and an additional six taps of macro-brews. Brass Monkey is a decent pub that has a with a fun crowd. Brass monkey is a good place to watch sports, have a tasty burger and beer, or party all night on a Thursday. 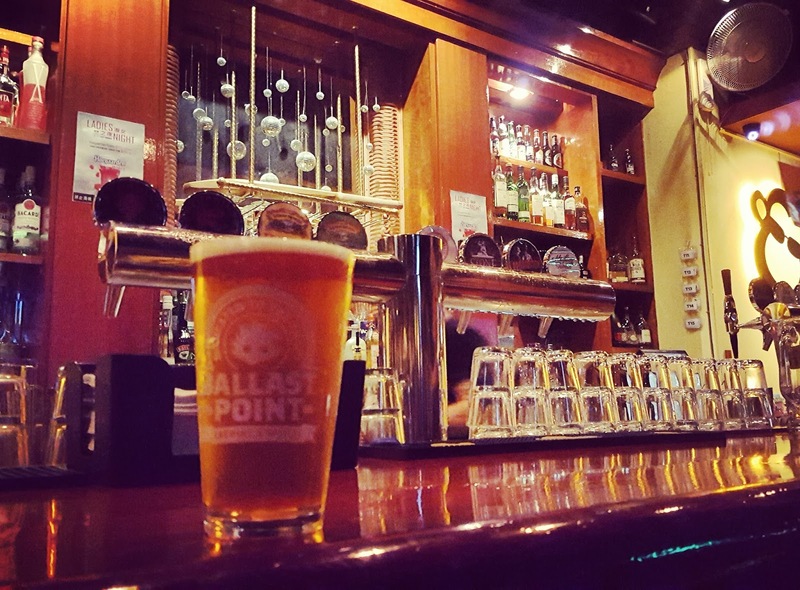 A popular pub for both expats and locals alike, On Tap is a great pub to grab a pint in the Zhongxiao East Road area. 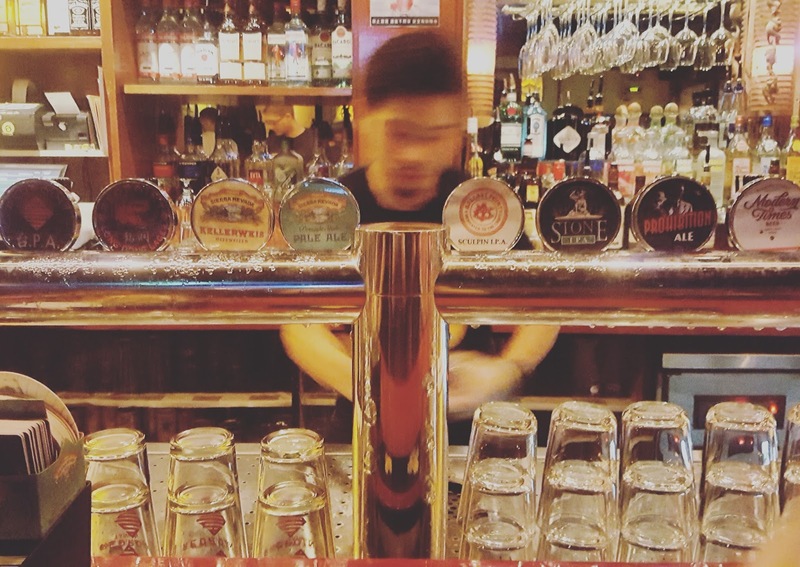 On Tap is branded as Taipei's 'only real pub' although the validity of such a claim may be up for debate. 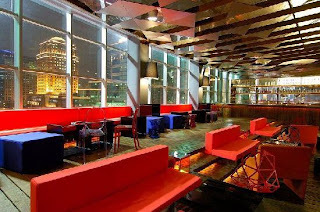 The bar is among the best places in Taipei to watch sports - especially Premier League and NFL games - because it is large and airy and has many large screens within view. In addition to the TV's, On Tap has has a variety of entertainment options; a towering Jenga that stands over 2 meters, a giant Connect 4, numerous board games, and of course, pool and darts. A menu of 7 Draft Beers & Ciders along with a full range of cocktails might be entertainment enough for some drinkers and nightly happy hour prices (Mon-Fri 5pm-8pm, Sat & Sun 11am-8pm: beer and cocktails from $90) ensure that drinking is an affordable activity. 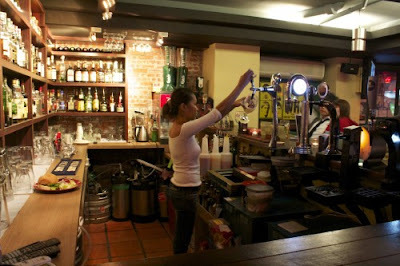 Regular prices for draft are as follows: Carlsberg $120, San Miguel $140, Stella Artois $150, Abbot Ale $170, Stowford Press Cider $200, Guinness $210, Hoegaarden $220. In contrast to the common trend, Wednesday is Lads' Night at On Tap, with happy hour prices all night. Be aware that On Tap tacks on an additional 10% to every bill as a service charge. 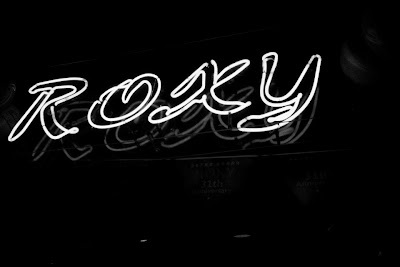 With over three decades of partying under its belt establishments can compete with the popularity or longevity of Roxy 99. 99 maintains its long held dive bar feeling that attracts lots of students and people who want to party in a causal and completely unpretentious environment. The prices are very reasonable with weekend cover charge set at NT$450 including two drink coupons(valued at NT$100 each). Draft Taiwan beer is just NT$100 and cocktails are all reasonably priced. The truly frugal can take a short stroll to a popular 7-11 on the corner of Heping and JinShan. The mix of Western music and cheap drinks makes this place one of the most popular destinations for night life in Taipei, especially for foreigners. 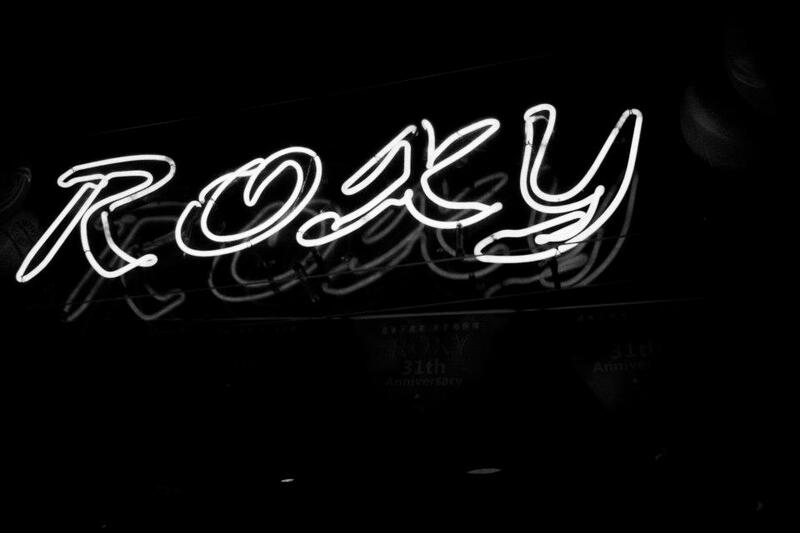 As a nightclub with a bar-like atmosphere and decor, Roxy 99 provides a laid back and fun night out in Taipei. Just outside of the Red House in Ximending is one of the best areas in Taipei to sit outside and enjoy a beer. Away from the bright lights and crowds of teenagers in search of the latest trends, there is a completely different world made up of bars and underwear stores catering to gay men. While these bars are aimed at a predominantly gay crowd, there are usually just as many straight people enjoying a drink on weekends. Most of the bars in this area offer great specials on beers allowing you to get 3 cold Heinekens for as little as NT$180. Mudan is just one of many patio bars to choose from, notable because they have a friendly staff, free wifi and a great selection of cocktails. 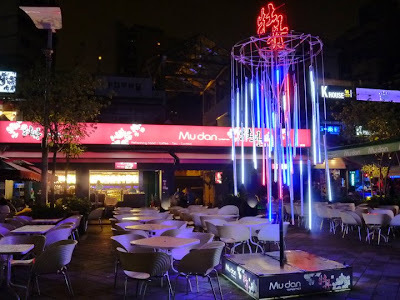 In short, if you’re looking for a place to spend a chill evening with friends, but aren't interested in clubs or smoky bars, Ximending probably has something for you. A Taipei installment of the famed Hong Kong institution, Carnegies Taipei is a well-known expat haunt with one of the city's best patios. 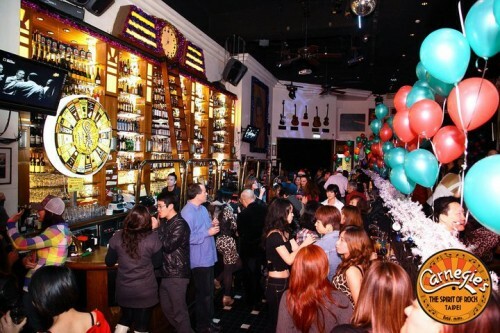 Since opening in Taipei in 2001, Carnegie’s established itself as the leading western bar & restaurant in the city. In addition to ‘club’ nights where patrons are encouraged to show their dancing skills by dancing on the bar, Carnegie’s has an impressive western food menu, including a wide selection of steaks and pastas. Carnegie’s is also reputed for its menu. The drink list comprises 366 shooters, a huge range of cocktails, wines, spirits and beers. A resident DJ from the UK plays each night and on Wednesdays, Fridays and Saturdays the party goes on until the sun comes up! While Carnegie's still gets rowdy for special events, it's reputation as a place for older-male expats seeking young locals has driven much of the young crowd away. Carnegie's saving grace is it's patio which is just about the nicest place in the city for an afternoon beer.